Even after Elli’s departure there was a lot to do. First, there were some things where we had to fix and improve the devices, we attached transparent tubes to the containers to make it easy to read the current water level. 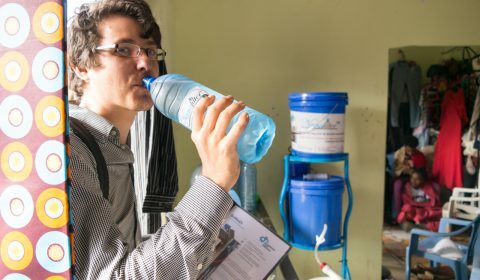 We also continued to conduct microbiological tests and measured the amount of treated water in addition to different environmental parameters like temperature and sun radiation. Back in Germany we want to validate and improve our thermodynamic model of the device using this data, e.g. 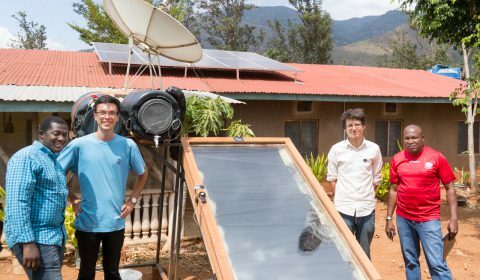 to improve the forecast of how much water can be treated with one device. Saturday we were visited by Lawrence and Ndiko at the Malage VTC. They are active with the Kilimanjaro Youth Development Organization to improve the lives of youths with problems that are often related to drugs. Both were impressed from the devices and would like to form a partnership. 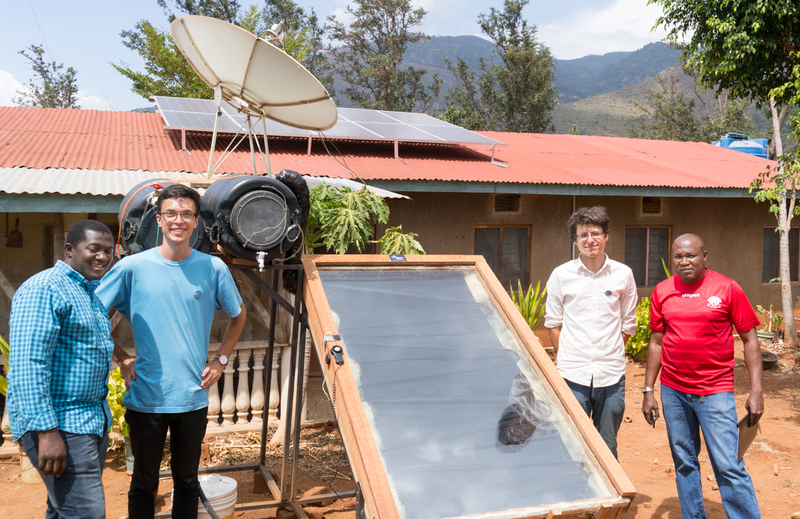 One possibility would be to educate youths in building SoWaDi devices. Lawrence also told us about his employer Gongali Model and their product, the NanoFilter. He invited us to visit them in Arusha. 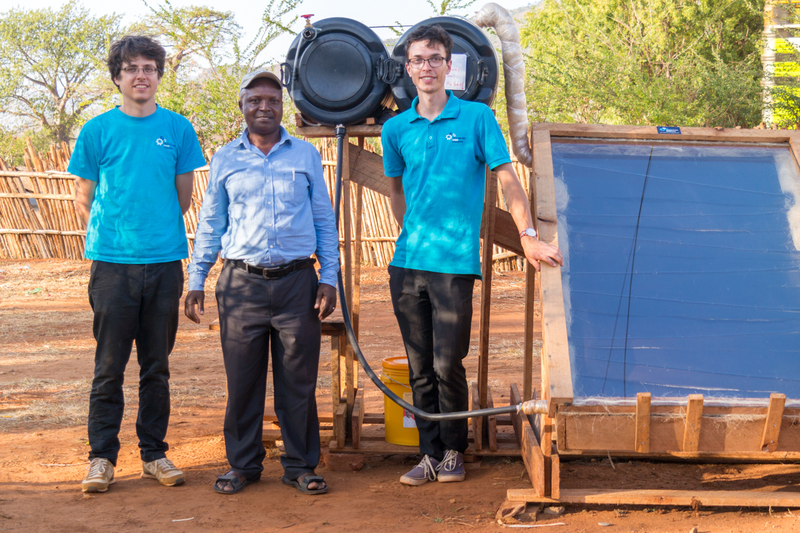 Even though a NanoFilter has some advantages over SoWaDi regarding the amount of treated water per day and the initial cost, he likes the SoWaDi approach a lot and sees our major advantage in the fact, that the water is really boiled. Boiling water is a widespread and acknowledged way to treat water so there would not be a need to convince people. 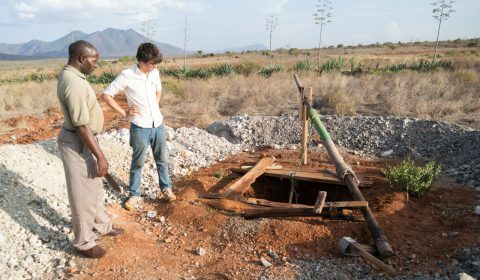 After the meeting with Lawrence and Ndiko we visited a borehole-drilling in a village close to Mwanga, that is being financed by the Rotary Club Mwanga. 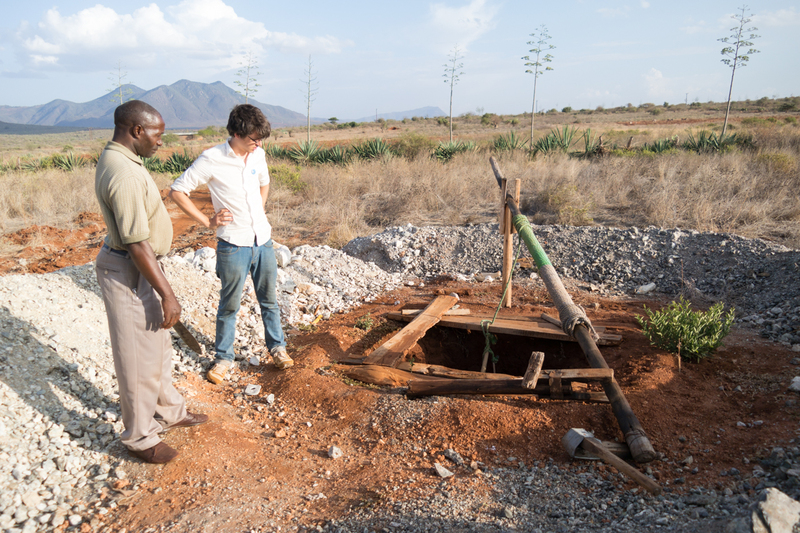 Then we went to the school farm, where a well is currently being hand-digged. On Monday we gave a workshop for the students and some teachers on how SoWaDi works and which parts of the construction are essential and should not be changed. 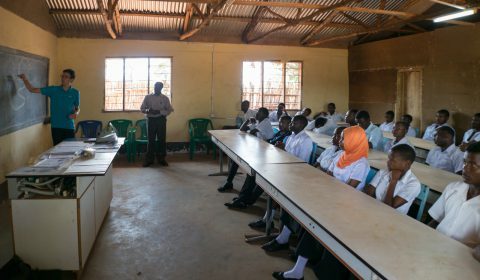 Gasiano supported us by translating everything to Swahili. The students were really interested and asked a lot of questions. Following the seminar we had a visit from Simon who works for the Africana Community Rehabilitation Organization (ACRO). We had already met him in Moshi two weeks ago. He also liked the devices and is open for a cooperation. 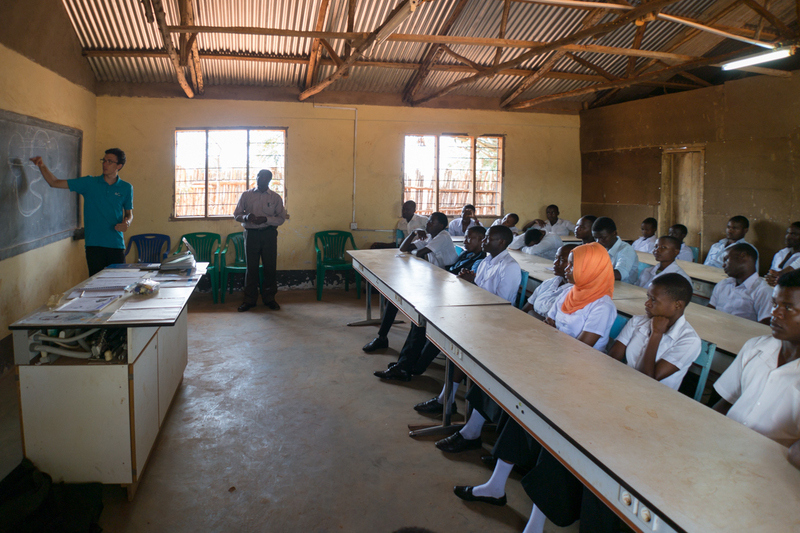 Before we departed from the Malage VTC, we talked about the responsibilities with Gasioano and the two teachers Sechelela and Samson. 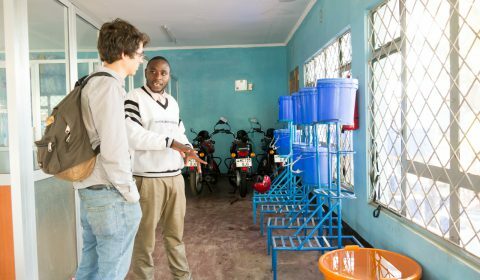 Sechelela will conduct microbiological tests of the input and output water every month and Samson will take care of the devices themselves and send a weekly report about their condition and the amount of treated water. 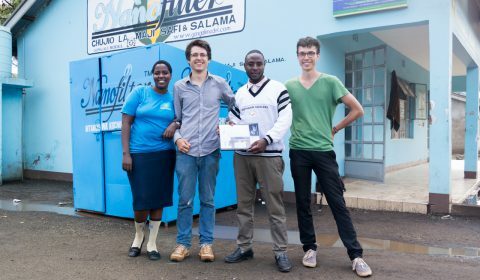 After arriving in Arusha we visited NanoFilter, who gave us a very interesting insight on the functionality, the production and also the distribution og the Filter. 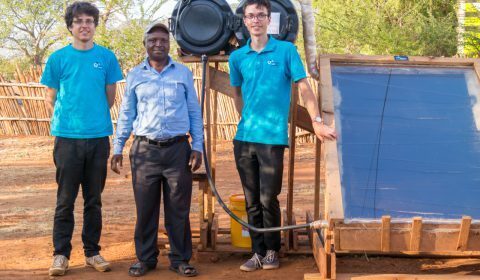 A NanoFilter is able to treat approximately 10l of water per hour and filters mud, microbes, bacteria and even fluoride. Thursday morning we had a second meeting with CAMARTEC, this time with Noela Byabachwezi, Director of Technology Transfer. She also sees the main advantage of SoWaDi in the fact that it really boils water, which is a trusted method to remove bacteria. We already talked about a possible cooperation between us and CAMARTEC. They are definitely interested in this technology and could for example assess the market for such a system and help with the distribution. On the way to the airport stopped in Usa River and paid Eliet Senkoro a short visit. After a long flight we are all safely back home and the evaluation of the last four weeks starts. We will take a look at the building process, review the construction manual, calculate the real material cost, look into ways to reduce this cost and develop a strategy for the continuation of this project and a possible distribution.